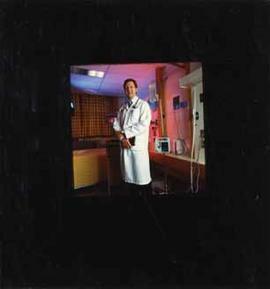 Photograph of Dr. Douglas Bartel (also identified in one archival source as Doug Bartsch), a TWU alumnus, taken for an advertising campaign. Photograph of a blue-and-gold draped TWC booth, promoting a two-year program in Aviation. 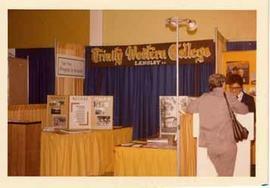 Photograph of the blue-and-gold draped TWC booth, promoting a two-year program in Aviation.